Why Are People So Obsessed With Ted Cruz Lookalikes? The Republican candidate has been likened to Alf, Mrs. Doubtfire, Grandpa Munster, and more. What is it about Ted Cruz’s face? 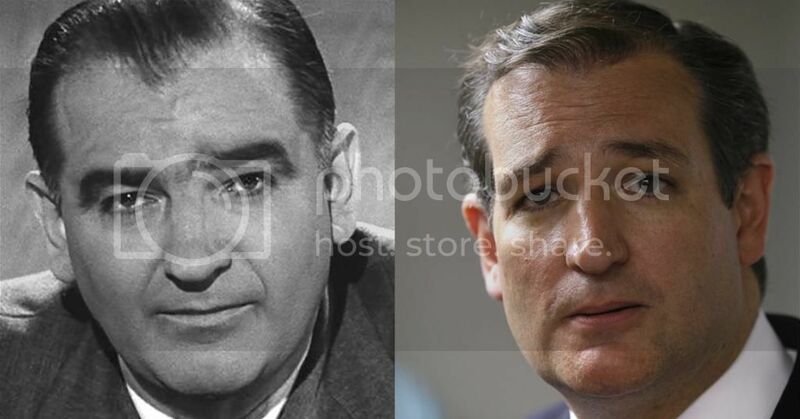 Lately it seems the Republican presidential candidate’s doppelgängers are everywhere. Most recently, for example, a Reddit user saw his likeness in the visage of a woman who appeared on an episode of the family-drama talkshow Maury. There have been many other Ted Cruz comparisons—to Brian Baumgartner, the actor who played Kevin Malone in The Office; to the beloved cat-eating alien of the 1980s, Alf; to Grandpa Munster (there’s even a Cruz-Munster meme generator), to Joe McCarthy; to the Zodiac killer; to Mrs. Doubtfire; and, in one bizarre case, to a can of soda that had been face-swapped with a BuzzFeed staffer. On one hand, none of this is surprising. (Except, okay, maybe the soda can.) The collision of Internet culture and presidential politics in a real-time media age means that visual imagery of the candidates is ubiquitous. They’re on television, they’re on Twitter, they’re on Instagram, they’re on Facebook, they’re on YouTube, they’re everywhere. Donald Trump, in particular, has assumed a position across the media that, to the consumer of news, can feel like omnipresence. Trump and the other candidates, it should be noted, have faced their share of lookalike memes. In one image that made the rounds recently, Trump is compared, unflatteringly, to a blob fish. (Cruz has also gotten the blob-fish treatment.) 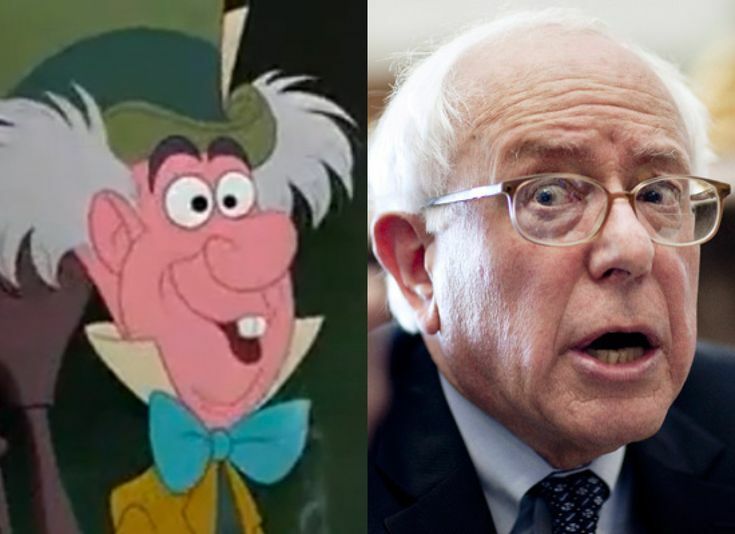 On the Democratic side, Hillary Clinton has been likened to Chuckie (the murderous doll), the Joker, and a velociraptor; and Bernie Sanders has been compared to Warren Buffett, Statler and Waldorf (the grumpy muppets in the balcony), and the Mad Hatter. But the long line of Cruz lookalikes seems to be never-ending. And there’s arguably more to it than remix culture, and the fact that consumers of media are now producers as well. To understand why Cruz, specifically, has captivated people this way, it helps to consider the broader role of the doppelgänger in popular culture. The idea of a person’s double—and the extent to which it’s perceived as a signal of something ominous—appears in myths and folklore throughout much of human history. In many of these stories, the doppelgänger is bad news because it so handily disrupts deeply held human values like self-identity and personal agency. Usually, a person’s own doppelgänger is most disturbing, but the existence of two or seven or three-dozen lookalike Ted Cruzes running around serves to raise questions about actual Ted Cruz. Namely, who is this guy, really? The appearance of a double in literature often ends quite poorly—with insanity, heartbreak, death, and often all three. Two prominent examples from literature are Fyodor Dostoyevsky’s The Double, which was first published in 1846; and Jose Saramago’s O Homem Dupilicado, which might be considered an adaptation of Dostoyevsky’s novella, and was published in 2002. (In English versions of Saramago’s work, the title is The Double, same as Dostoyevsky’s.) In these stories and others, doubles and twins necessarily cast doubt on the character or identity of the original. In short, it’s a trust issue. In American politics, lookalikes and impersonators have been around since long before the Internet, a fact that has as much (and probably more) to do with comedy traditions and the celebrity culture as it does distrust of phantoms and lookalikes. And besides all that, doppelgängers are just funny—if a little mean-spirited—often because they’re so absurd. Ted Cruz doesn’t actually look like a gluttonous ghost, but this tweet still makes me laugh every time I think about it. Really, when someone is photographed as frequently as a presidential candidate, that person is going to be caught making enough different expressions that it’s easy to find lookalikes—whether or not the resemblance is actually there. And for many voters, what Cruz says may be far more unsettling than what he looks like.